Come to register, pick up your Chocolate Bars and Fundraising Book. Priority will be given to The Point Edward Skating Club members. The Club reserves the right to cancel a session due to insufficient registration. 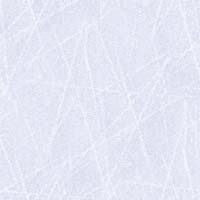 Make cheques payable to POINT EDWARD SKATING CLUB INC. In order to participate in registered sessions, competitions, the carnival and take tests, all fees must be paid in full. 50% is due at Registration, with full payment (post-dated cheques) due by Nov. 15, 2012. Ice costs are $25 less for 2nd and subsequent skaters; the predominant skater pays full price. $25 NSF charge applies. Cash only for anyone with 2 or more NSF cheques. Refunds will only be considered in writing before Oct. 31, 2012 and requests for refunds should be sent to Kelly Douglas-Nead. Season Fees are non-refundable. A $20 administration fee will be applied to all refunds. Helen Dang, before Oct. 31, 2012. The PESC reserves the right to cancel any session due to insufficient registration.